Easy to use: in and out of the water in 2 seconds! Easy to assemble: you can even do it yourself! Durable: a long term investment. Virtually unsinkable due to the foam filled Jet Slide technology. Maintenance free: that’s right! Zero maintenance! Easy to move: getting a new home? 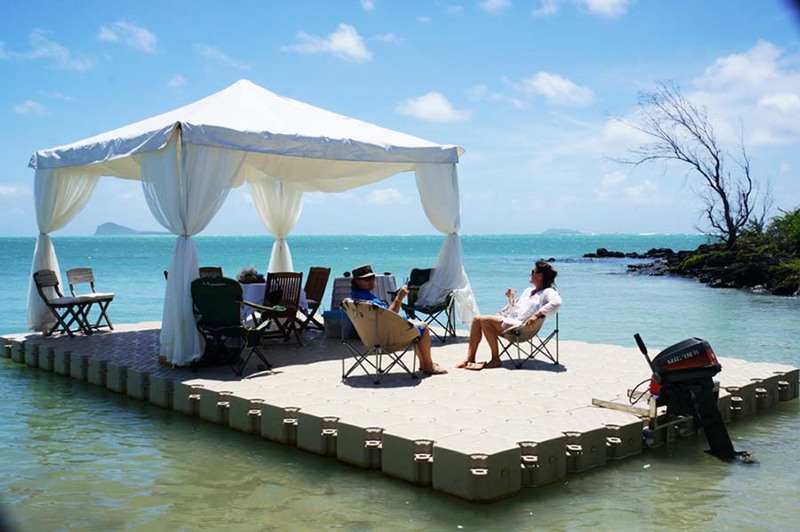 Just take your floating dock with you! 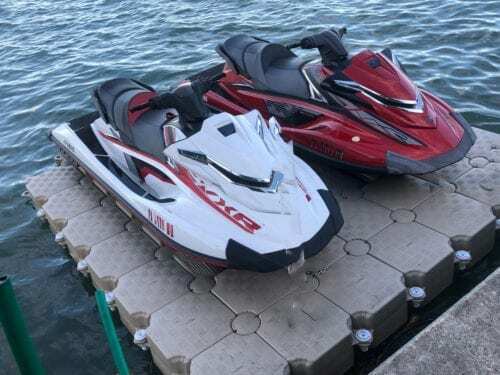 Easy to reconfigure: getting another jet ski or a bigger boat? Just add some cubes! 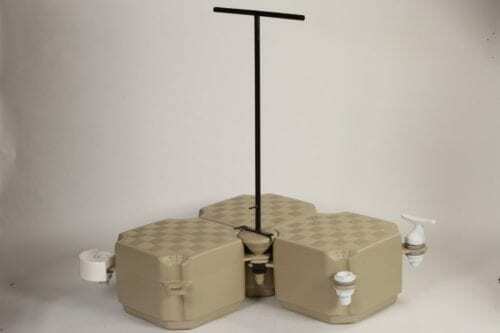 Attachable to anything: sea bed, wooden dock, floating dock, sea wall, etc! Light color: Candock is beige or grey to keep the heat away! Best bank for the buck! You can enjoy lower prices due to the value of Canadian currency. From jet skis to boats and multi-vessel installations, Candock Miami can tailor a bespoke package designed to your individual application. Replace those rusting and rotting metal and wooden docks with the latest in high-density floating resin! It’s a system that dramatically reduces the maintenance cost of both your craft and your dock… and with our prices so low it’ll pay for itself in no time. 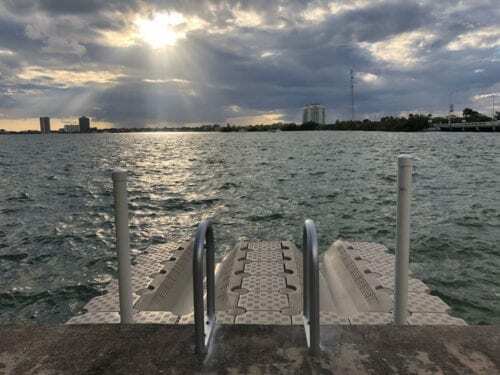 Candock is proven to be the most reliable and flexible docking system available on the market, and offers the best value for money too… at Candock Miami that’s a promise you can bank on! Design and Price my Dock Now! 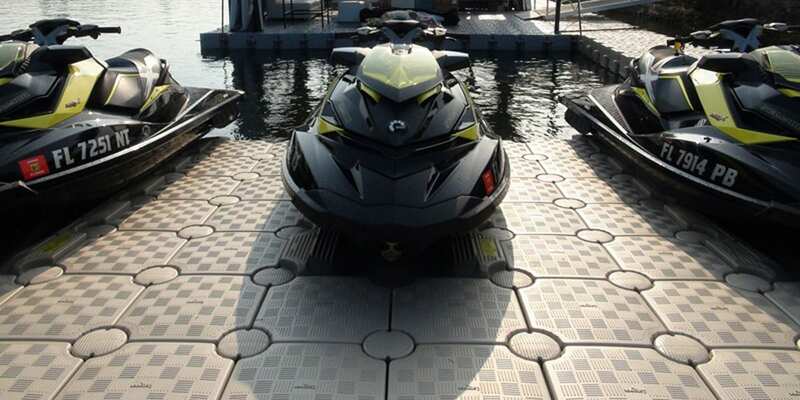 Candock is the best Solution for Jet Ski dock! 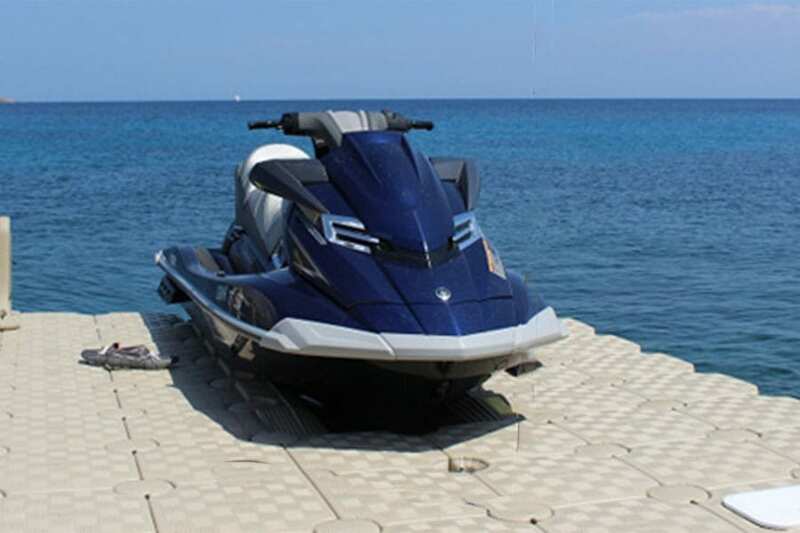 Go up and down in 2 seconds, keep your jet ski secured, without barnacles or trailer. 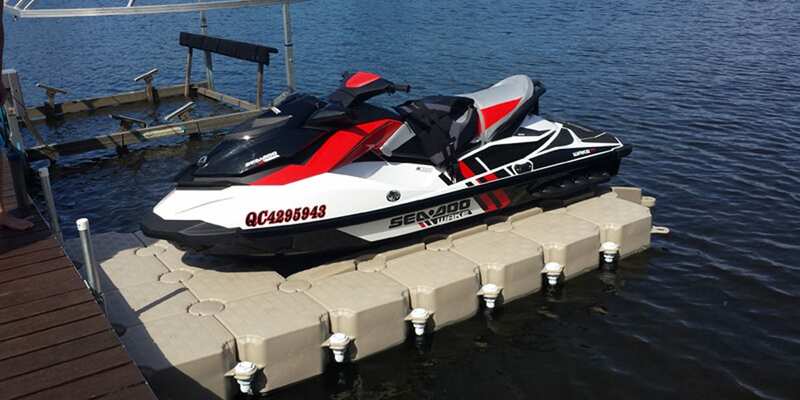 Candock is the #1 provider for Jet ski rental businesses in Florida. 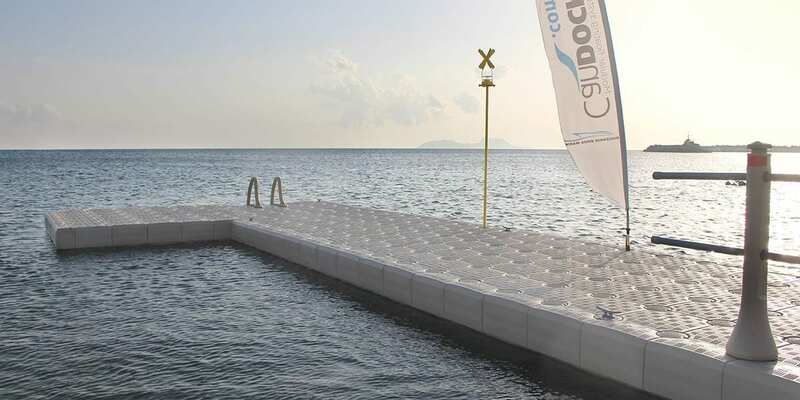 Create a floating dock that fits your needs: any shape, any use… The possibilities are endless: Marinas, Kayak launching platform, floating platform, heliport, boat dock… The only limit is your imagination. The Candock system is the easiest and fastest PWC floating dock to use. Just drive it up and push it down, and off you go! With the Candock system, the concept of “maintenance-free” means ZERO maintenance – no more, no less. No more lost time, no more expense, and no more work to be done on a conventional wooden or metal dock year after year. 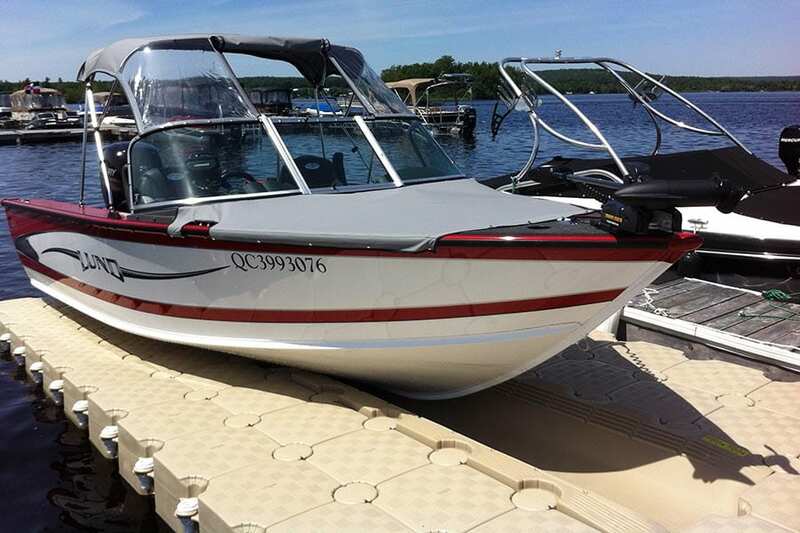 The Jetslide is a unique piece designed and patented by Candock on which the hull of the PWC rests. It is foam filled, making your dock virtually unsinkable. 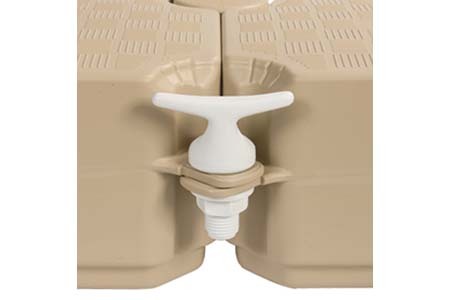 The Candock system is simple: blocks closely and firmly held together by special mounting screws. All pieces are light and easy to handle. It is so easy you can assemble it yourself! Trading your jet ski for a boat? Getting another jet ski? Just add some cubes! With Candock you can assemble them to create whatever shape and size you like. The configuration options are limitless… Just use your imagination! No more bottom paint, anodes, electrolysis, rust, barnacles, etc. Save tons of money on maintenance and keep your boat’s value high. Your Candock basically pays itself. Candock offers the most complete range of accessories for your dock to make it fit your all needs: ladders, gangways, cleats, bumpers, kayak racks, diving boards, lights, and more! 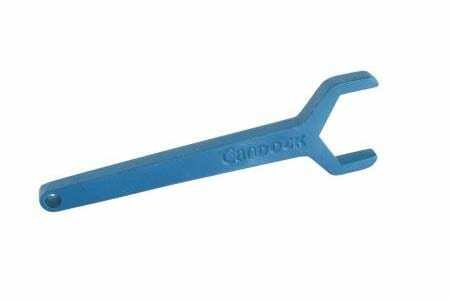 Candock offers the most anchoring options. Whatever your situation, we can secure your dock to virtually anything: a floating dock, a wooden dock, a sea bed, a sea wall, even at the bottom of the ocean! This is how confident we are in our product! We offer a 20-year warranty on the cubes and a 5-year limited warranty on the Jetslides. We stock locally! We can deliver and install sometimes in 24 hours! We’ll arrive faster than your jet ski! We use premium UV inhibitors. That prevent the plastic from changing color, cracking and degrading prematurely. Our highly reactive Candock staff is available when you need it: by phone, email, social media, through our extensive dealer network. And if you move with your dock, we will be there too thanks to our extensive Candock dealers network! 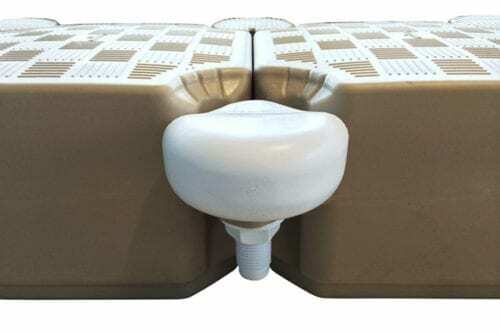 The Candock system is made of High density polyethylene resin (not recycled plastic). This makes Candock very resistant to impact, climate change, water, sun, and many chemical products. Candock has been in business for over 20 years. Candock has a large R&D department, a team of engineers, and has been distributed worldwide for decades. Candock owns its manufacturing facilities. Candocks are made in Canada. For the last few years, the very strong US Dollar makes Canadian products much more affordable because of the exchange rate. So you get high quality for less money. 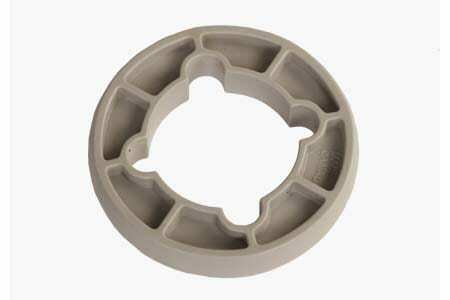 The modular structure components do not oxidize or deteriorate. This means that the floating dock will stay in its natural state. It is also recyclable plastic.